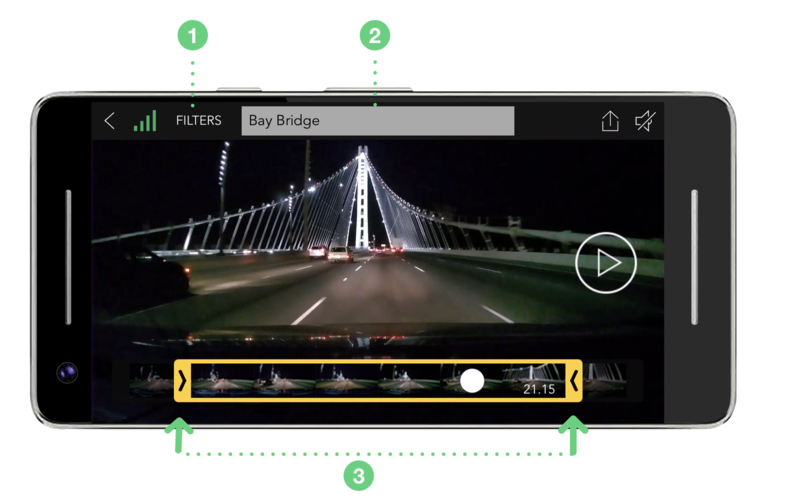 ZOOM: Drag the green rectangle to the part of the video you want to zoom in. Press the play icon to preview the zoom. TIMESTAMP: Overlays the date and time the clip was created. LOCATION: Add an overlay map of where the clip was saved to the beginning of your video. 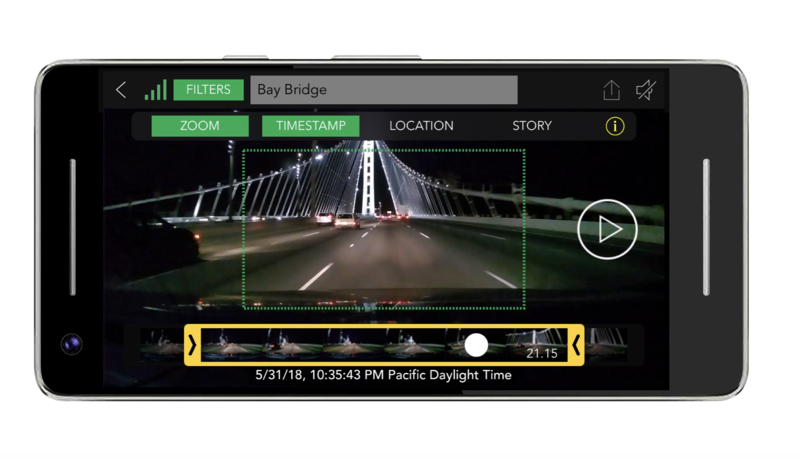 STORY: Select up to three edited clips to combine into one long video. Tap a clip to add it to the next available slot. Once added, tap the clip to remove it from the story.